“Parliamentarian Son Chhay wrote a letter to Prime Minister Mr. Hun Sen, asking him to reconsider the rights granted the Sokimex company to administer Angkor Wat. In a letter to Prime Minister Mr. Hun Sen on 10 January 2008, Mr. Son Chhay pointed out that the rights granted to Oknha Sok Kong’s company to administer Angkor Wat makes the state lose not less than $50 million each year. “In 2007 alone, the income from tourists visiting Angkor Wat was approximately US$50 million, but the government gave a contract to Oknha Sok Kong’s company to manage Angkor Wat, through which the state gets every year only US$10 million from the company. As a consequence, Angkor Wat, which is the most important Khmer heritage, easily benefits Sok Kong’s company not less than $50 million each year. Therefore, Mr. Son Chhay asked the government, especially Prime Minister Mr. Hun Sen, to reconsider the contract given to the Sokimex Company to administer Angkor Wat; otherwise, the government will continue to lose benefits while the company does not do anything to protect or maintain Angkor Wat. This means that the Sokimex Company of Oknha Sok Kong can sleep and still wait to easily receive benefits from the historical heritage of all Khmers. “Mr. Son Chhay affirmed that this is an issue the government must reconsider, relating to the granting of rights, and in future there should be bids announced appropriately, not again to be conducted quietly, giving the right to Sok Kong’s company like it happened. 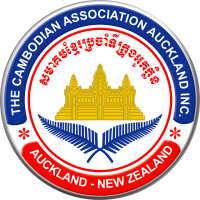 At present, it is affirmed that the number of tourists increased in 2007; the number of foreign tourists that visited Cambodian was more than two million. According to officials of the Ministry of Tourism, it is expected that in 2008 the number of tourists will continue to increase. Though the number of tourists increases, the government does not update the contract with the Sokimex company to increase the amount of money to be paid to the government. The amount continues to be maintained at $10 million per year. “Mr. Son Chhay said that there is nothing to be seen which was developed and paid for by the Sokimex company; that means that the company just waits to get benefits easily. He said that even the toilets for tourists are not good, which is a shame for the nation. Nonetheless, the government seems not to think about what Mr. Son Chhay has raised. According to reports, the government still continues to grant the right to Sok Kong’s company to manage Angkor Wat and to collect money from all tourists. “The Ministry of Tourism boasted about the increase in the number of tourists visiting Cambodia, especially coming to visit Angkor Wat, and that in 2007, the number of tourists was more than two million. However, the big amount of income from the tourists does not go into the national treasury. On the contrary, it remains in the hands of businesspeople of a private company. To give the right to Oknha Sok Kong’s company to manage Angkor Wat is like to allow this company to collect money from the tourists just on its own, while the state loses tens of millions of dollars each year. It is not known why such an easy arithmetic has been agreed upon; the government as well as the Prime Minister has many well-educated advisors - why do they not see an easy way of creating benefits from Angkor Wat; or is the money, which Sok Kong’s company earns, quietly shared with government officials and not put into the national treasury? If a simple farmer would manage Angkor Wat instead of Sok Kong’s company, and the government would each year just wait to get $50 million from the farmer, this would also be possible. But Sok Kong’s company probably provides $40 million of the $50 million earned to government leaders, keeps $10 million for itself, and hands on $10 million for the nation. Doing so can solve problems for this company so that the company maintains the right to continue to manage the temple area, and it can easily collect money from the tourists. It is believed that this is why the government does not stop Sok Kong’s company from managing Angkor Wat. “Mr. Son Chhay thinks that it is a shame for the Khmer nation to have Angkor Wat, but the state does not have the ability to manage the temple area; instead, it gives the management to a private company to put toll gates on the ways into the Angkor Wat temple area in order to collect money from foreign tourists. Mr. Son Chhay demanded that Prime Minister Mr. Hun Sen reconsiders the contract between the government and the Sokimex company on the management of Angkor Wat soon, because while the number of tourists increases, the company does not spend anything on Angkor Wat, the company just sleeps and waits to easily collect money from the historical heritage of our Khmer ancestors. I've read several times the speculation whether it's the state or Sokimex that gets the lesser portion of the income. But looks like dealings under the table is still going on.